This product is packed by a shiitake mushroom producer in various sizes and shapes, and the taste is of the best. Produced in Oita prefecture, these shiitake mushrooms have a addictive taste and are indispensable in traditional Japanese cooking. 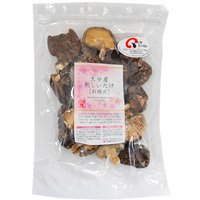 Gualynic acid, contained in dried shiitake mushrooms, is one of the three Japanese Umami tastes (together with inosinic acid in bonita flakes and glutamid acid in konbu seaweed). Also, during the drying process, glutamid acid in the mushroom increases, so when heated, the tastiness of the mushroom is even more heightened. This product must be rehydrated before use, or it can be cut in small pieces and put it into soup, stew, or any other boiled dishes. Dried Shiitake mushrooms grown in the bounty of the sun and nature will bring a deep flavour to your table. As one of the best supplier of shiitake mushrooms in Japan, Oita prefecture runs a traceability system to ensure the quality and reliability of the mushrooms, which are grown and dried in the area. It is said that there are 4000 shiitake mushroom farmers in Oita. 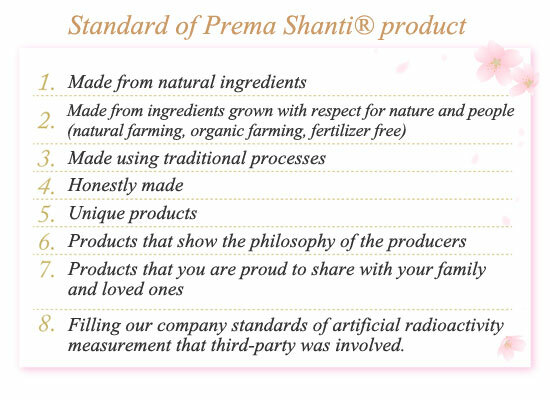 However this product, with its traceability seal, allows you to trace its record from the producer to the processor.